Ark Composites has developed a complete line of kits, resins and materials to repair fiberglass and wood Boats, ATVs and RVs. Our products have been developed by professionals for amateurs. Kits include all materials needed for professional results - right down to sandpaper and mixing containers. Detailed step by step instructions and online videos make it easy. MAS Epoxies, manufactured by Phoenix Resins, Inc., are the most advanced, high performance, user friendly epoxy formulas in the world. MAS Epoxies are well tested and used worldwide in boatbuilding applications of different methods including: Composite construction of ships and yachts. Stitch and glue of small boats. Canoe and Kayak strip building. Cold molded construction. E.A.S.T. System Epoxy has been specifically formulated for Boatbuilding, by Professional Boatbuilders! Its special formulation gives E.A.S.T. System Epoxy the following features making it... "the choice of the professional builder"
WEST SYSTEM epoxy is a high-quality, two-part epoxy formulated and manufactured by Gougeon Brothers, Inc. It bonds to fiberglass, wood, metal, fabrics, and other composite materials and is easily modified for a wide range of coating and adhesive applications. It is used for construction and repairs requiring superior moisture resistance and high-strength, and is especially suited for marine applications. WEST SYSTEM products provide a complete system of epoxy resin and hardeners, dispensers, fillers, additives, reinforcing materials, application tools and instructional publications. Manually operated, precise piston type pumps. The cleanest way to handle small batches of resin; much faster than calculating, weighing and pouring. System Three Resins, Inc., a leader for over twenty years in providing the highest quality epoxies and coatings worldwide, now makes professional grade epoxy products available in economical sizes. In the past epoxy products have been limited to either small blister packaging syringe or in large commercial quanity bucket sizes. System Three Resins, Inc. professional grade epoxy products are now available in reasonable, economical sizes for the woodworker, craftsperson, and homeowner. The First Glue to Securely Bond PVC and other Materials... Even Underwater! Hand Mixable - Quick and Easy-to-use - Shapes like Modeling Clay - Sets steel hard in minutes - Can be Drilled, Tapped, Filed, Screwed, Sawed, Sanded, Painted and machined. Contain no solvents. Additives that change the use of Epoxy. 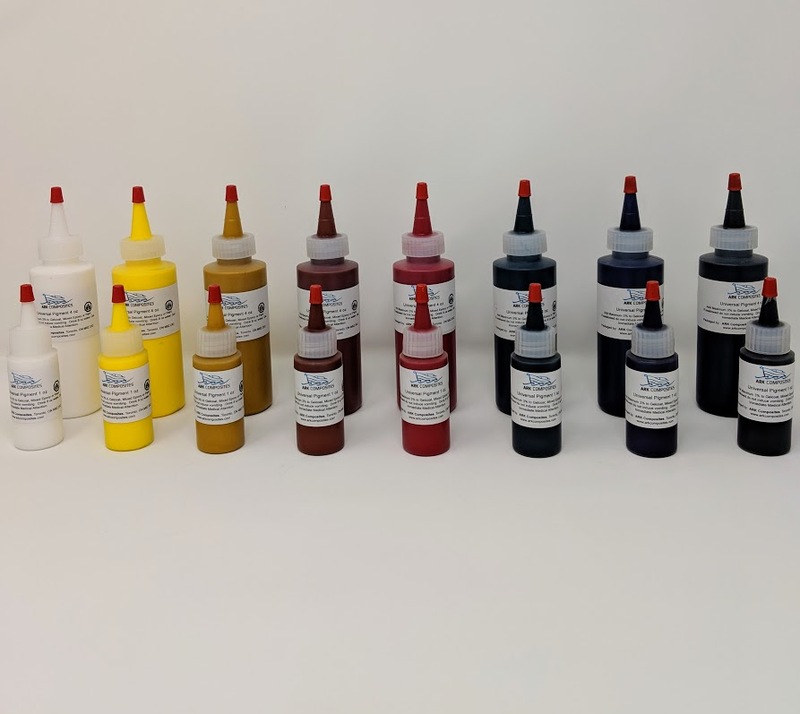 Epoxy Colouring agents in tropical red, sunset yellow, brown, admiral blue, white, and black.